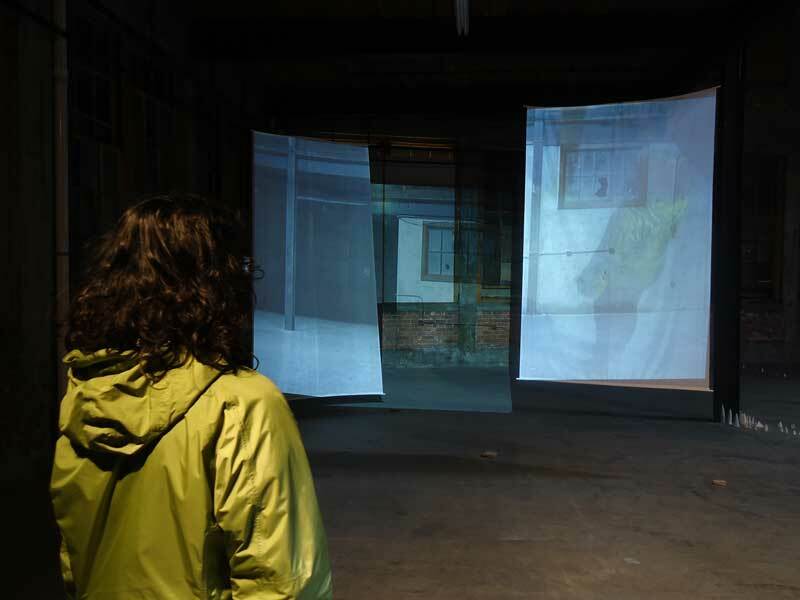 Compound Vision is an interactive video installation, which operates an optical portal through which the viewer may re-experience the specific location in which it installed. 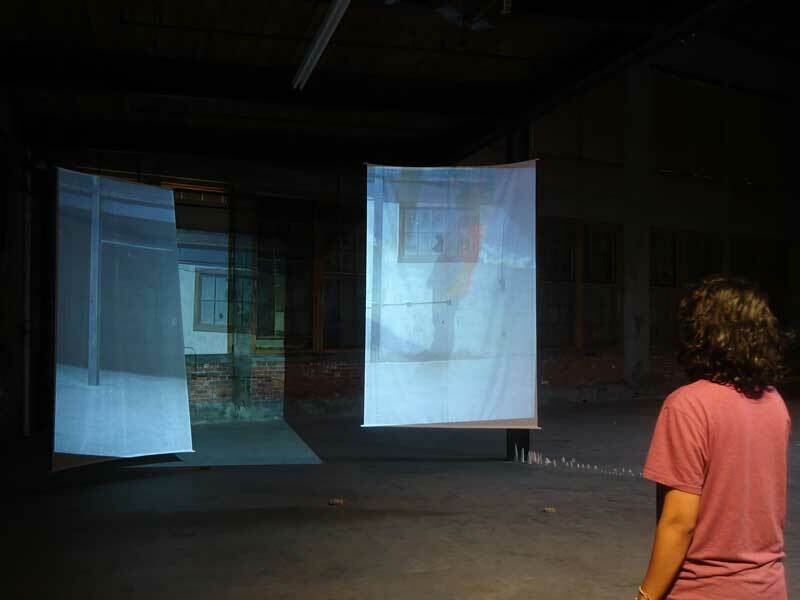 Custom software created in Max/MSP/Jitter combines pre-recorded imagery of the installation space with live video captured by cameras set up throughout the space. Switching between cameras and clips at random intervals, the software layers and cross-fades images, colliding spaces and blending past and present moments. 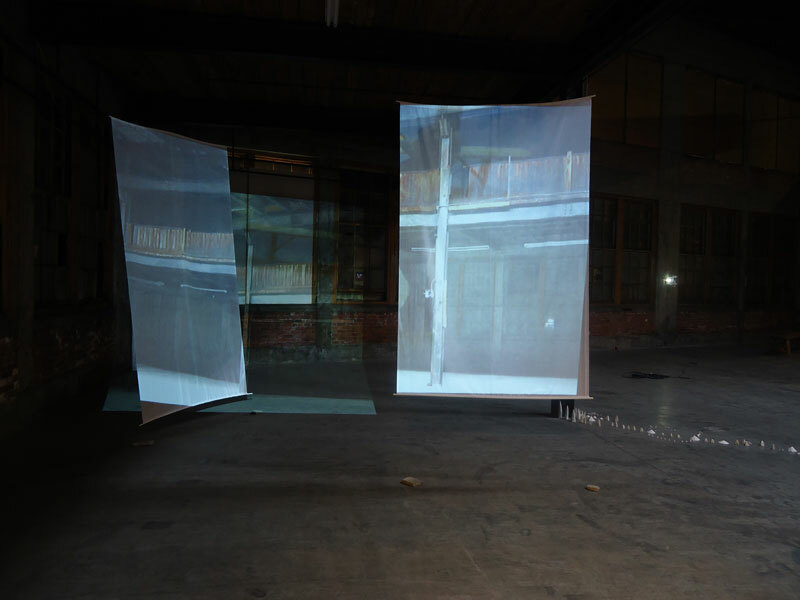 Subtle temporal manipulations of the live video imagery, create an uncanny sense of time and presence in which the image is (sometimes) slightly out of sync with reality. The work takes its name and inspiration from the arthropod compound eye, found on most insects and crustaceans. The compound eye is subdivided into hundreds or thousands of individual, light-receptive elements, each including a lens and a transmitting apparatus. Essentially, each lens produces a pixel of vision. The more lenses the insect has - the higher the resolution of the image.The compound eye provides an intriguing metaphor for the fractured multiple viewpoints and temporalities we navigate on a daily basis as we interact in an increasingly multi-layered screen reality. Our view onto the world is a complex, composite amalgam of images, text, audio, which we must parse, in order to somehow better navigate or more effectively experience our own singular time and place within a complex network of information. 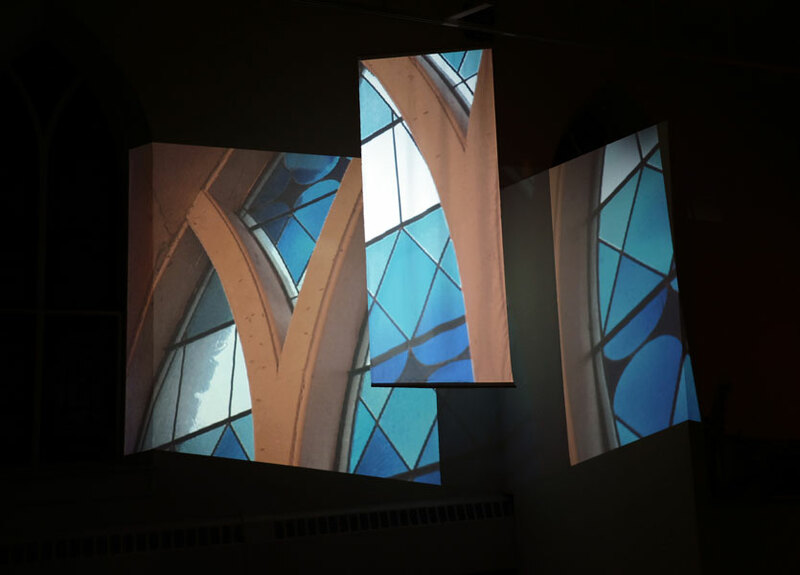 Compound Vision fulfills its concept through multiple iterations, taking on different physical form in response to the contingencies of different sites. 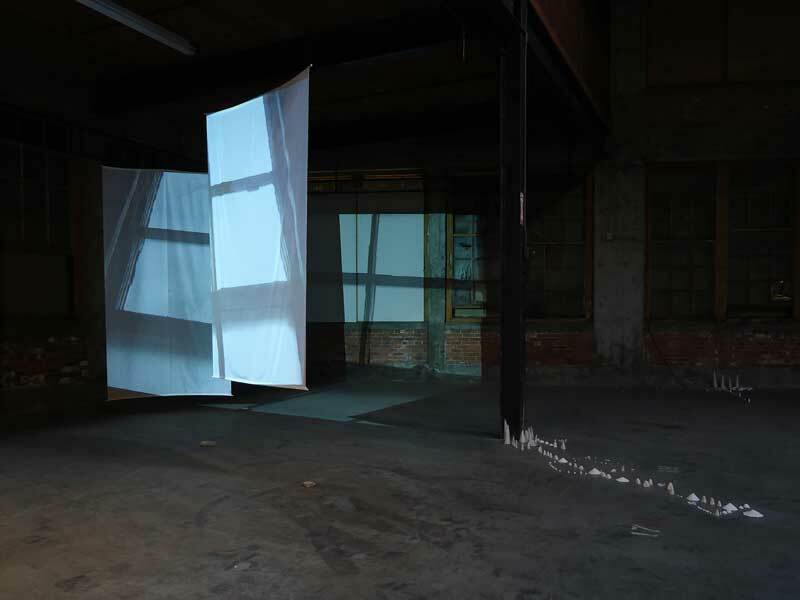 The installation was originally created for inclusion in exhibition Interaction Immersion (2012) in Pawtucket RI. 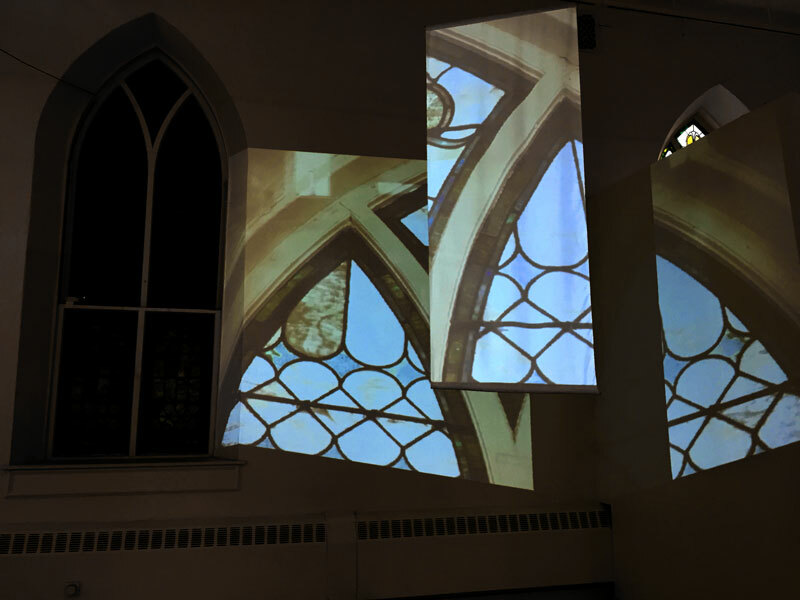 It was subsequently presented in new form in exhibition You Are Here (2016) curated by Pam Campanaro at the New Art Center in Newton, MA.